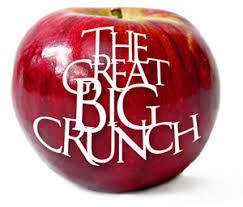 Thursday, March 28, marks the 12th Anniversary of the Great Big Crunch. Since 2008, over one million “crunchers” have participated in this great initiative. The Great Big Crunch is a fantastic way to celebrate nutrition, raise awareness of various food discussions and encourage a sense of both school and national unity. Our BT students will collectively bite into their apples at 3:00 p.m. Thankyou to ... Continue reading "The Great Big Crunch"